Today’s post is a dangerous one, friends. After a little bit of experimentation with the Martha White muffin mixes, I discovered that you can make a delicious, single-serving of pumpkin cobbler in just about four minutes and with just four ingredients. That’s right. You are less than 5 minutes away from pumpkin goodness! This recipe is a variation of the easy pumpkin dump cake recipe I posted years ago. By subbing in pumpkin pie filling for pure pumpkin, you can eliminate several ingredients and lots of measuring. I used the Martha White chocolate chip muffin mix, but you can choose a variety that you think sounds the best. 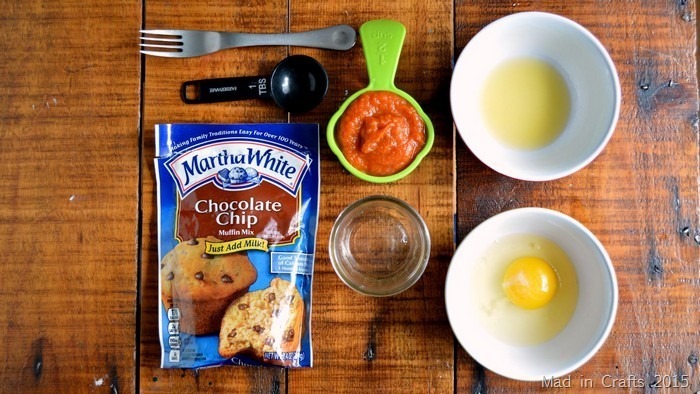 You only need four ingredients and a few supplies to make quick and delicious pumpkin cobbler: 1 egg, 1/2 cup of pumpkin pie filling, 1 tablespoon of melted butter, and 3 tablespoons of Martha White muffin mix. I found that you can vary the amount of egg in the recipe depending on how fluffy you would like the texture of the pie filling to be. A whole egg results in a fluffy, light pumpkin texture, while a half an egg gives you a denser, more pie-like consistency. 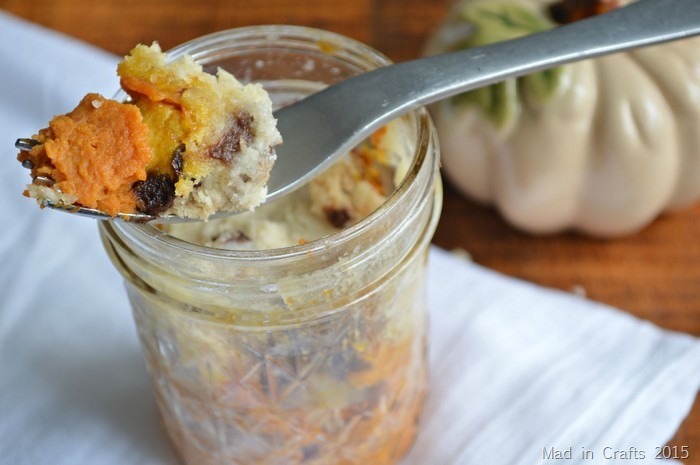 I made my cobbler in a mason jar, but you could also make it in a microwave-safe mug. Whatever you make the cobbler in will get very hot, so be careful! Be sure to use hot pads to remove the jar from the microwave, and then let it sit for a minute or two before eating. Microwaved pumpkin doesn’t mess around! 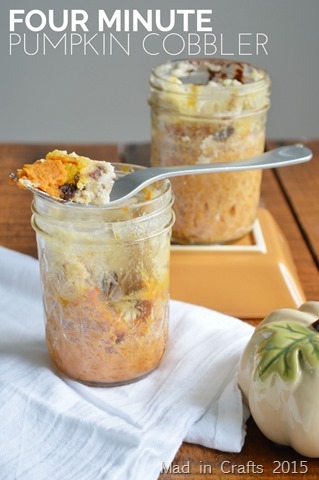 Just watch the video below to see how four minutes can get you delicious pumpkin cobbler. Be sure to subscribe to my YouTube channel, if you haven’t already, for more recipes, crafts, and DIY tutorials! 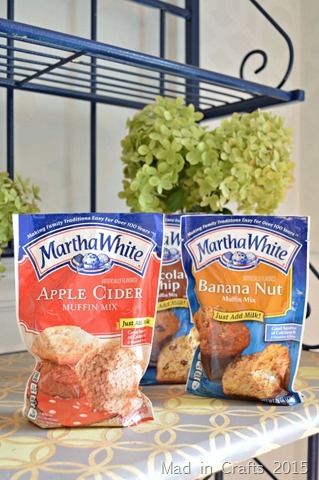 Find your local Kroger store so you can get your hands on Martha White muffin mix today! what is the wattage on your microwave oven? Would it make a difference if the wattage was higher or lower than yours? I am not sure the wattage of our microwave, sorry! If you are concerned about the cook time, I would start at 3 1/2 minutes and increase by 10 second intervals until it is done. Hope this helps!